The Chevy Blazer is Back, But in Name Only? 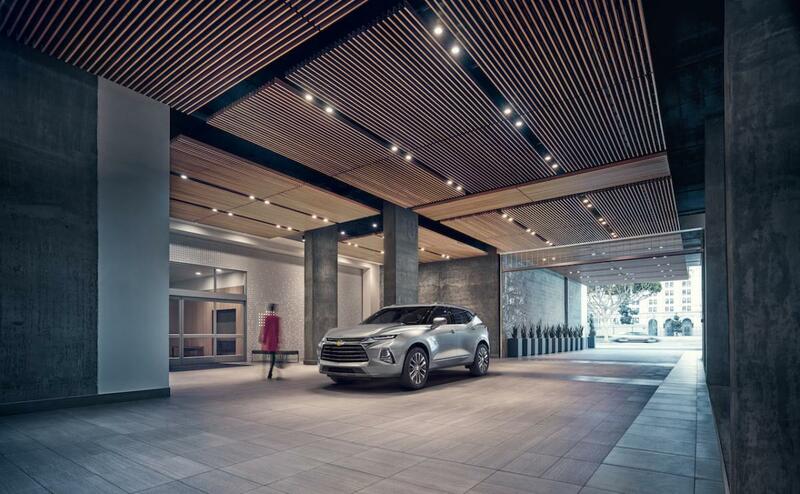 When you think of the Chevy Blazer name, an image of a burly full-size SUV may come to mind. That representation would be correct, especially if you had in mind the first model sporting the Blazer inscription. Indeed, when the Chevrolet K5 Blazer rolled out in 1969, it immediately made a name for itself as a traditional body-on-frame utility vehicle with standard rear-wheel drive and available four-wheel drive. Like all models of that period, the Blazer was derived from a full-size truck platform, in this case, the same GM architecture supporting Chevrolet and GMC trucks. Fast forward to today and Chevrolet has plans to bring the Blazer name back for the 2019 model year. The new model has aggressive looks, but it is now a crossover based on the same platform underpinning the Cadillac XT5 and GMC Acadia. While the original had strong off-road chops, the new model is chiefly for on-road service with its standard front-wheel drive and available all-wheel drive. Thus, you may be able to safely head down a clearly marked path with the new Blazer, but you won’t follow that Jeep as it works its way through a slough or fords a shallow creek. 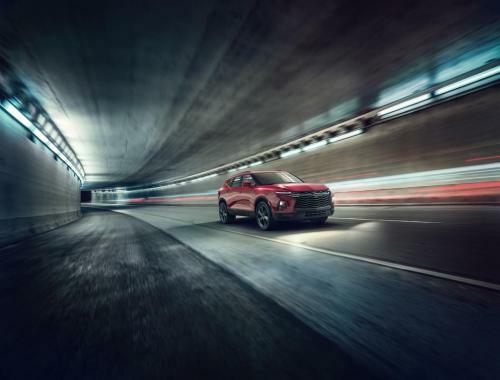 Instead, the all-new Blazer is all about giving Chevrolet and its fans something it really needed: a competitor to the midsize, two-row Ford Edge. Chevrolet introduced the 2019 Blazer this month, offering photos and details we’ll examine here. The new model will arrive at Chevrolet dealers in early 2019 and slot between the Equinox and the three-row midsize Traverse. Other competitors in this segment include the Jeep Cherokee, Hyundai Santa Fe, Nissan Murano and the Kia Sorento. 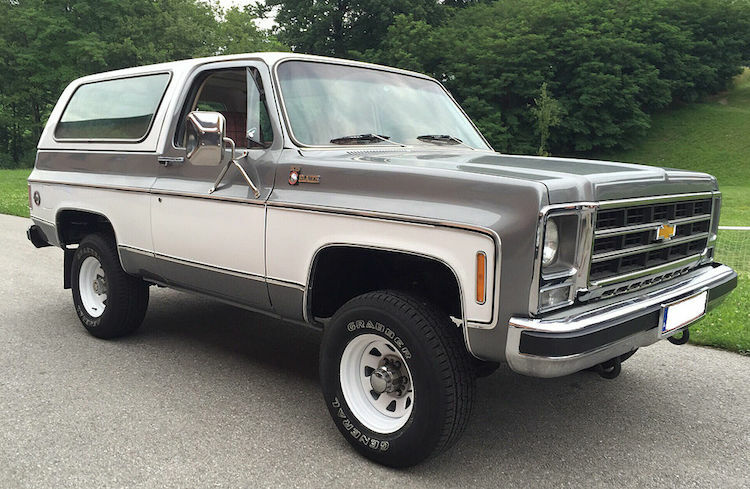 This 1979 Chevrolet K5 Blazer Cheyenne is one example of the earliest Blazer model. As the photos reveal, Chevrolet strived to make the Blazer aggressive without carrying that look too far. The front fascia features a gaping grille, offset by slender lights and pronounced cut-outs housing the available fog lamps. 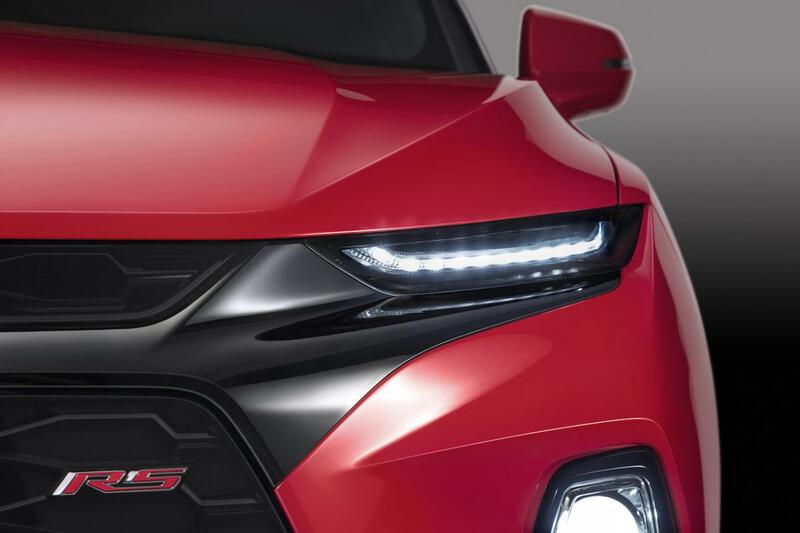 The hood turns downward into the grille, giving this model a powerful appearance. Front to back, the new model projects strength, imbuing it with an attitude that underscores its aggressiveness. Take note of the high beltline, which abruptly pulls up at the rear door handles. It is a look Volvo rolled out with the 2019 XC40. 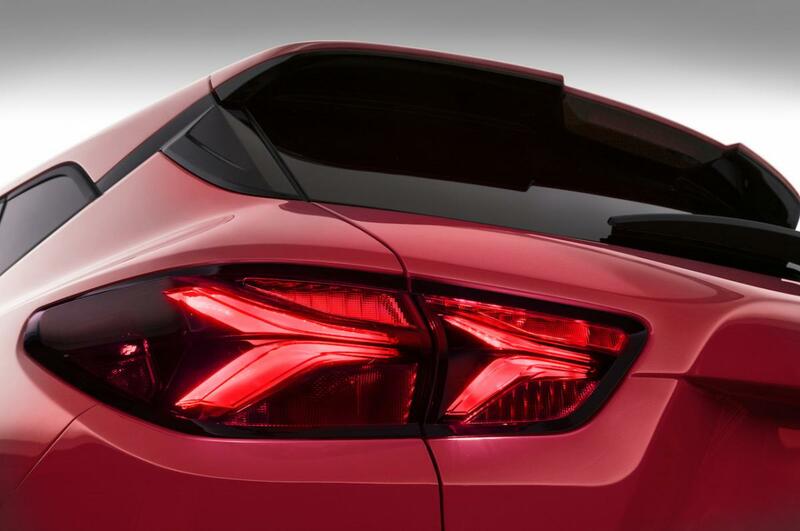 From the rear is an available liftgate spoiler with dual-element tail lamps. Moving inside, the emphasis is on accommodating five passengers with ease. That’s something the Ford Edge does and we expect the Blazer will manage. Chevrolet describes the cockpit as driver-centric, making note of the various color and trim choices. Further, the Blazer’s cabin features a padded knee area, round air vents and grab handles on each door. Behind the front bucket seats is a sliding rear seat. 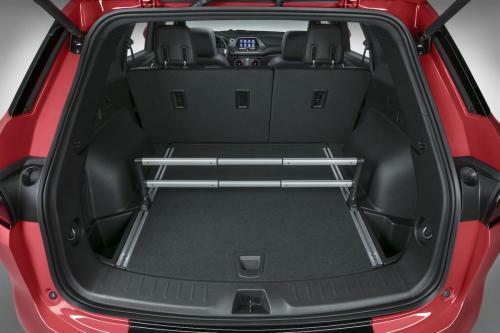 Importantly, the Chevrolet Blazer offers up to 64.2 cubic feet of storage space with the rear seat folded flat. 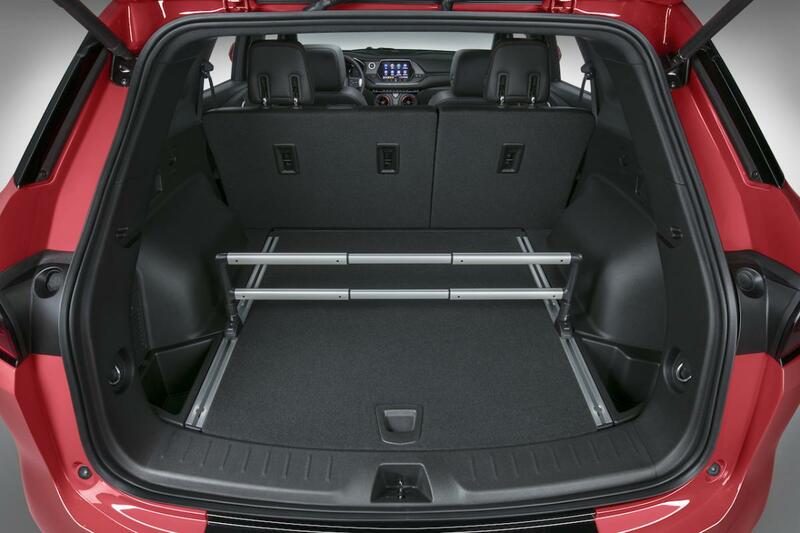 This compares to 73.4 cubic feet in the Edge and 67 cubic feet in the Murano. The two top trim models also come with a unique cargo management system. If you’re looking for something different under the hood, you won’t find it. At least not yet. GM does have a turbo-diesel offered in select models such as the Chevrolet Equinox and Colorado, but it won’t find its way into the 2019 Blazer. 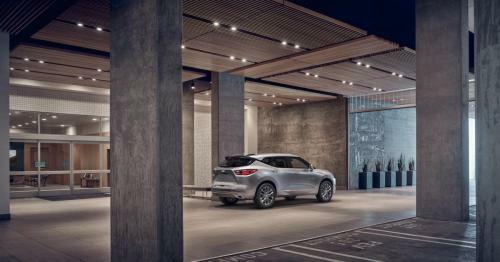 Instead, the automaker’s trusty and ubiquitous 2.5-liter four-cylinder engine comes standard, delivering 193 horsepower and 188 pound-feet of torque. If that isn’t enough power, the popular 3.6-liter V6 is another choice. This one makes 305 horsepower and 269 pound-feet of torque. Chevrolet pairs both engines with its new nine-speed automatic transmission. The available all-wheel-drive system offers an optional twin-clutch engagement on the two top trim models. Chevrolet says that the Blazer will pull up to 4,500 pounds when properly equipped. 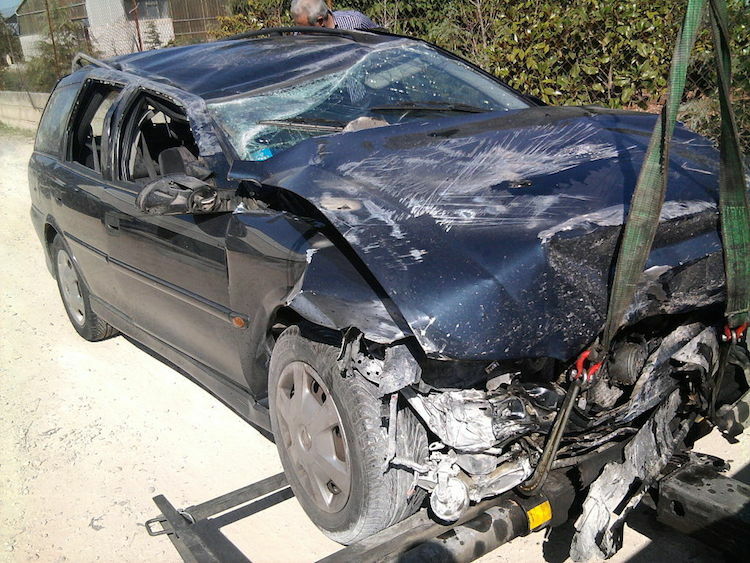 That beats the Edge (3,500 pounds) and is well ahead of the Murano. On the other hand, it trails the Kia and Hyundai as the pair top out at 5,000 pounds. 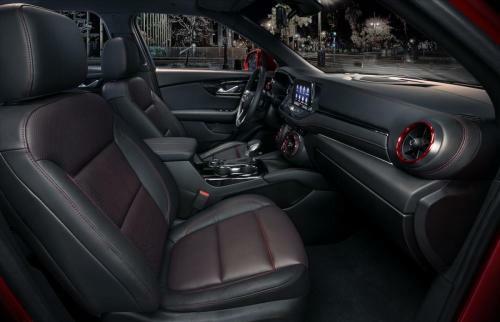 So, what are the other finer points about the all-new Blazer? Well, let’s look closer at towing. Not only can this new model pull your camper or skiff, but it will offer available hitch view and hitch guidance to aid you as you make a connection without a second person present. You’ll also find a Chevrolet-first electronic locking glove box with valet mode, available automatic heated steering wheel and heated and ventilated front seats, heated outboard rear seats, wireless charging and up to six USB ports. 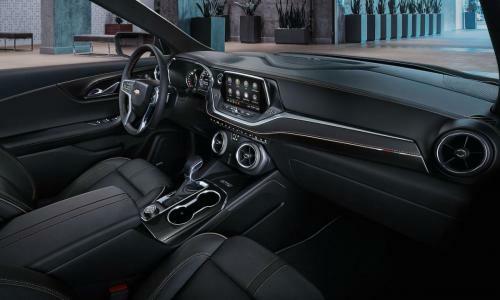 Chevrolet’s latest infotainment system with an 8-inch color touch screen comes standard. You’ll also find Apple CarPlay and Android Auto smartphone compatibility and 4G LTE Wi-Fi. Chevrolet’s new Blazer isn’t anything like that first model or any other that once sported the name. 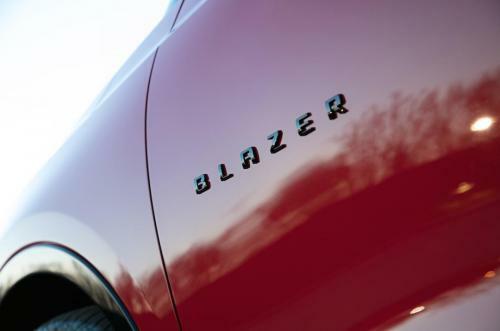 The original Blazer was popular, with more than 8 million units sold. That said, we think the new one will find its own place in the market and enable Chevrolet to compete effectively against all comers. All-new Chevy Blazer photos copyright GM. 1979 Chevy Blazer photo per Wikipedia and copyright 79k5driver, CC BY-SA 4.0 license.